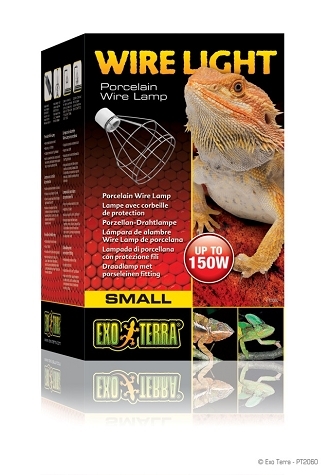 Perfect for use with Exo Terra Terrariums, its small size fits neatly on the top screen cover. The highly polished aluminum reflector increases light, UVB and UVA output by up to 100%! The ceramic socket can accommodate either compact fluorescent bulbs or incandescent bulbs. Combine multiple fixtures with specific light bulbs to create the ideal lighting system. Includes Switch, Hanger and Clamp. 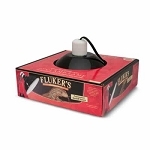 FLUKERS MINI DEEP SUN DOME, 5.5"